Article from May 2014 issue of Shop Metalworking (Canada). (Partial article. Use this link to read it in full): For years, those familiar with Single Minute Exchange of Die (SMED) have been hearing how efficiency expert Shigeo Shingo helped automaker Toyota reduce setup time on its 1000-ton presses, going from four hours to just three minutes. An admirable achievement, but is it really necessary to change dies faster than you can pick up a happy meal at the local drive-thru? Probably not, but it’s a sad fact that many shops waste time during set-up, and best measure their machine downtime in hours rather than minutes. This leads to oversized production runs and long lead times for finished goods, bloated inventory, product obsolescence and machine utilization figures that would have Shingo rolling in his grave. Hilma Div. of Carr Lane Roemheld Mfg. 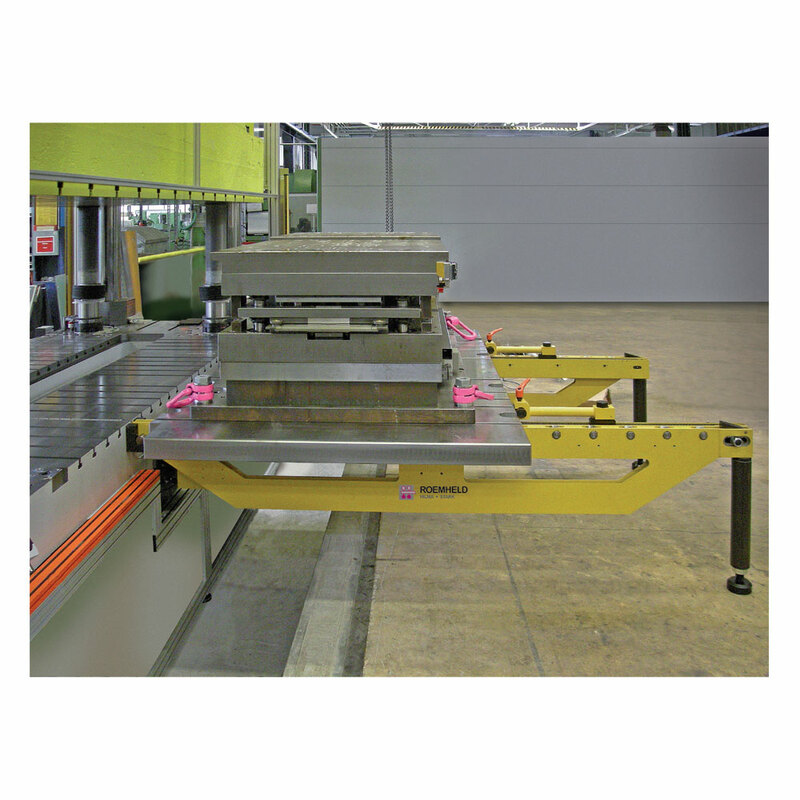 Co. offers a complete line of quick die change and handling solutions. “With smaller presses, say 100 tons and below, there’s less clamping hardware to deal with, fewer nuts and bolts, less weight to jockey into position,” said David Fischer, Hilma Engineering manager. “This means shops feel less pressure to go with quick change clamping systems.” That doesn’t mean, however, that they shouldn’t do it.